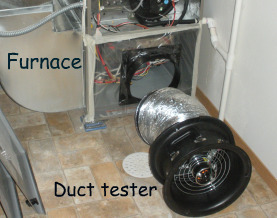 We will perform a pressure test of your duct system to determine how much air leakage is occurring and to identify the specific points of failure. If necessary a theatrical fogger can be included to help locate pinhole or hard-to-find leaks. A report is generated that shows the results and recommendations.